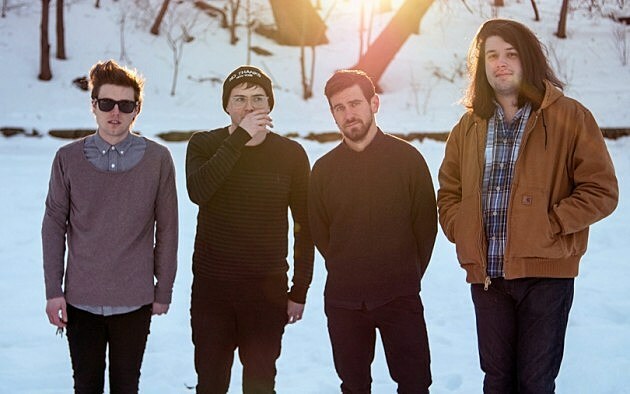 Earlier this year, Teen Suicide released their latest album It’s the Big Joyous Celebration, Let’s Stir the Honeypot on Run For Cover. It’s a 26-song album that bridges the gap between noise punk and The Microphones, and it covers a lot of musical ground in its hour-plus running time. I just caught the band at NYC’s Webster Hall in May on tour with Say Anything, mewithoutYou and Museum Mouth, and live they’re less experimental and more of a straight-up punk band (in a good way). All four of those bands are pretty different, and TS had the most purely rocking set of the night. They just announced that they’ll do another tour later this summer with their old pals Elvis Depressedly and Grimes associate Nicole Dollanganger. That tour kicks off in Brooklyn on August 3 at Market Hotel. Tickets for that show go on sale Friday (6/3) at 10 AM. All dates are listed below. Elvis Depressedly are reissuing their Holo Pleasures EP as an expanded release with the new California Dreamin’ EP this week (6/3) via Run For Cover. It’s another dose of the band’s eccentric lo-fi pop, and you can stream it below (via SPIN), along with music from Teen Suicide and Nicole Dollanganger.